There are programs that can spy all your movements on your phone. Your couple, your workmates, your mother-in-law... anyone could have installed a spyware application on your phone, si if you have suspicions you can choose to download Privacy Scanner. It's an anti-spy software that scans your device searching for applications that collect your information. Use of heuristic detection techniques. Details about the applications found. 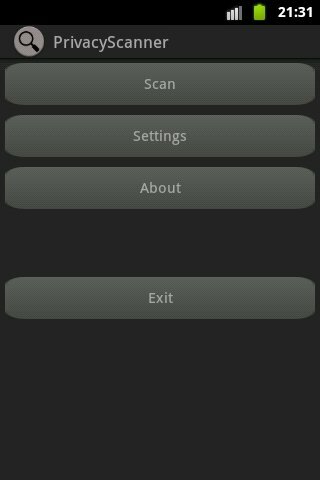 Make sure your phone is free of spyware or surveillance and control apps with Privacy Scanner. Minimum operating system requirements: Android 2.2.